We have more information about Windows 8.1 Update 1 that is not easily found elsewhere in the internet at the time of this writing. You may have heard that the next major software update to Windows 8.1 adds quite a bit of new features and UI changes. The big ones are mentioned all over the internet. However, I want to focus on the things that are not mentioned! This article will focus on the improvements made to the Windows Taskbar. Modern Apps Can Have Customized Jumplists! First up is the jumplists. Many of you with non-touch PCs running Windows 8.1 might be happy to see this! 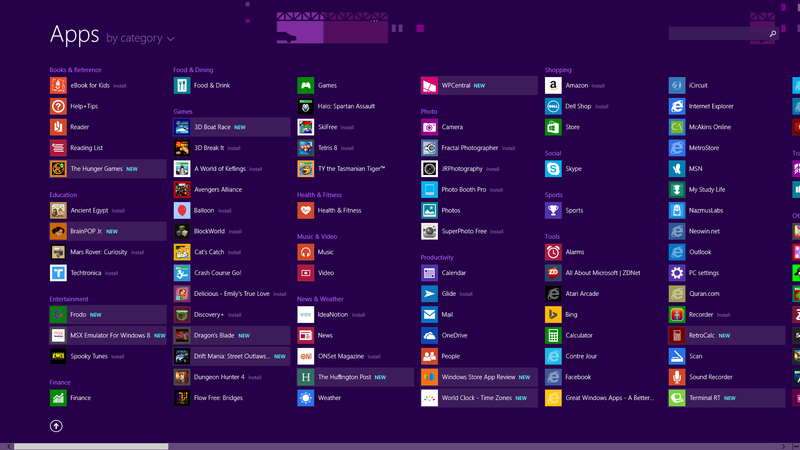 Modern apps can take advantage of the Jumplist feature of Windows! The Jumplist was introduced in Windows 7, and it allowed desktop apps that were pinned to the task bar to show additional items specific to the app, such as open a recent document, or perform a specific function. Well, it appears that this ability is being extended to modern (WinRT) applications as well. As you can see from the screenshots, the Adobe Reader and Windows Reader (both of which are modern apps) are showing recent documents in the Jumplists. This feature is available to metro apps that are pinned to the taskbar. You can open the Jumplist by right-clicking on a pinned app. With Windows 8.1 Update 1, apps that play audio and video in the background, such as Xbox Music, Multimedia8, and Hyper for YouTube, will now see a media control in their taskbar thumbnail. Whenever such modern apps is running, hovering over the app’s button on the taskbar will pop up its thumbnail, which sports dedicated media controls that you can use to play, pause, or skip forward and back media. Pretty cool huh? Take a look at the screenshot below. Another neat feature in the latest update to Windows 8.1 is that you can now bring up the taskbar at anytime and from anywhere, including from the Start Screen, and Modern (WinRT) Apps. Paul Thurrott also wrote about this feature, but I am reiterating this for our readers information. I can independently confirm this works. All you have to do is move your mouse all the way to the bottom of the screen and the taskbar will pop up! You can also use the keyboard shortcut Windows Key + T to bring up the taskbar. This feature has been discovered by Paul Thurrott. I can also independently confirm this! If you are logged in to your Microsoft Account and have SkyDrive (aka OneDrive) enabled, you will see its icon on the taskbar system tray. Hovering over it shows you your sync progress. You can right-click it to see potential errors with sync. Next Next post: I Got Lumia Black Update for my AT&T Nokai Lumia 520!